An ideal camp bed. 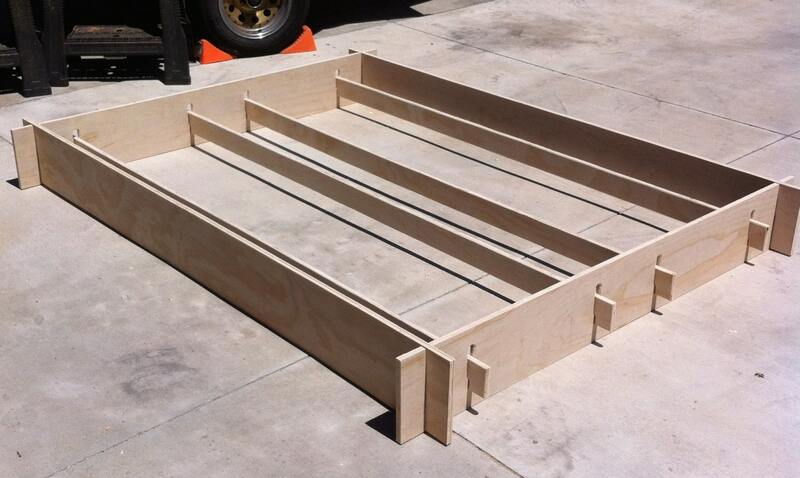 Breaks down to four panels of 30"x40", two 9"x 85" side panels, two 9" x 65" end panels and four 85"x 3.5" support rails. No screws, bolts or other connectors. 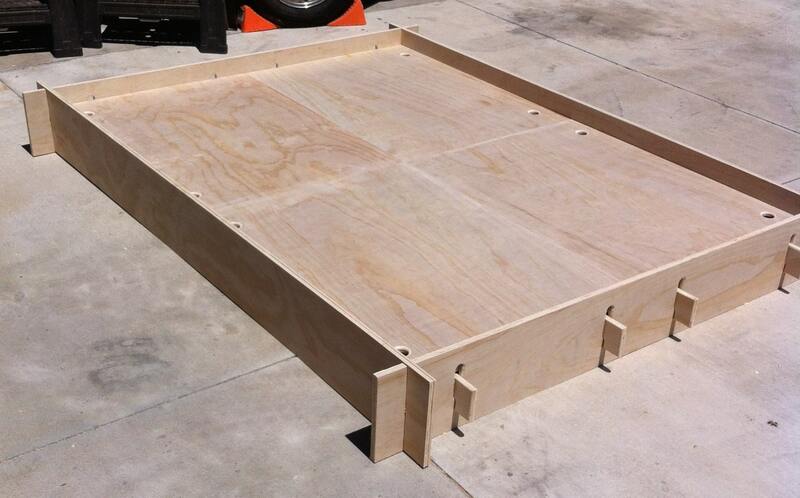 Just slot the outside frame together, slide in the support rails and lay down the base panels.